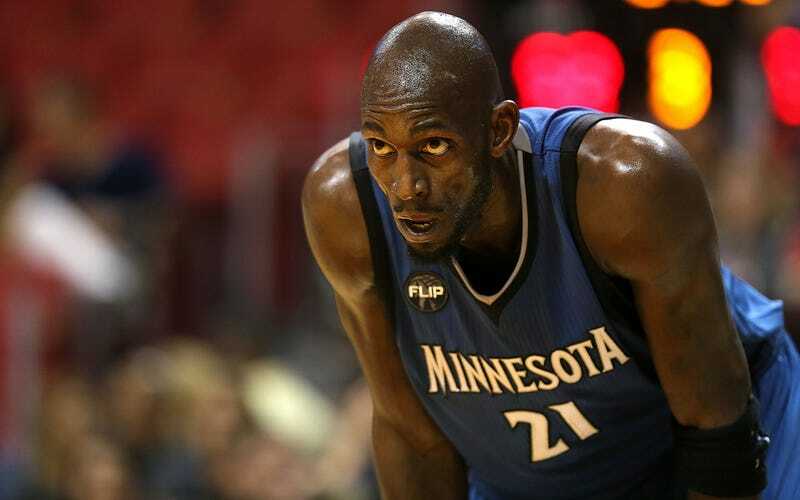 ESPN’s Jackie MacMullan wrote an awesome story about Kevin Garnett, who at 39 years old has been called on by the Minnesota Timberwolves to mentor the team’s crop of talented young players in his famously intense style. The story is great because it goes beyond just pointing at Garnett’s lunatic persona and going, “Heh, what a crazy guy! It’s so fun how he yells at those youngsters!” Instead, MacMullan honestly interrogates Garnett’s leadership qualities, and finds that he can be both a wizened basketball sage and a mean-spirited bully. With that said, and under the assumption that you will go and read the whole story, let’s take a moment to chuckle at Garnett being a nutjob. KG really is one of a kind.